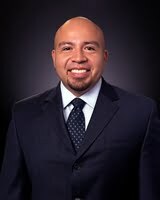 Luis Garcia is Registered Patent Attorney, admitted to practice in Florida. Formerly a Patent Examiner with the United States Patent and Trademark Office, Mr. Garcia practices in the area of patent prosecution in support of the Firm’s Electrical and Computer Technology Practice Group. A graduate of the University of Miami School of Law, Mr. Garcia holds a B.S. in Electrical Engineering from Florida International University where he achieved Deans List status and served as a member of the Eta Kappa Nu Electrical Engineering Honor Society. He also holds an M.S. in Electrical Engineering from Duke University. Mr. Garcia’s intellectual property experience includes working as a Patent Analyst for Landon IP, a national intellectual property research firm. "The attorneys at Christopher & Weisberg are knowledgeable, thorough, responsive and professional." "I felt like I was in over my head with intellectual property stuff, but these folks broke it down for me for a reasonable price and helped me figure out an appropriate strategy. Would recommend them to anybody." "Christopher & Weisberg guided me through the entire process of filing a trademark for my new start-up. I didn’t know anything about the law and by the end of our time together, I felt like I knew everything! Thanks again!"